Latest from TV Guide's Mega Buzz spoiler column. 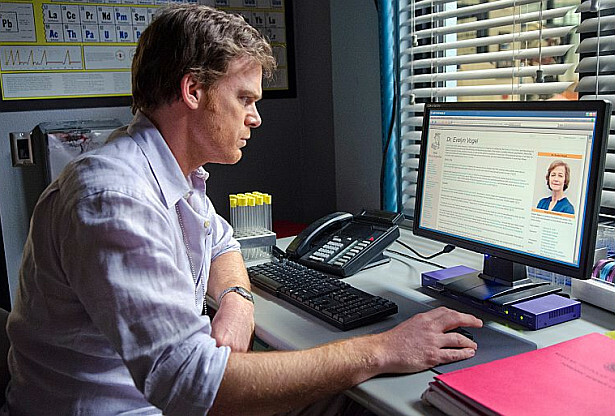 Skip the jump to read some spoilers about 'The Brain Surgeon' and the upcoming final episodes of Dexter. The Brain Surgeon's identity will be revealed very soon, but like Trinity, he'll stay one step ahead of Dexter for a while. In the meantime, Zach may not be the only person close to Dexter that will fall victim to the Brain Surgeon. With our favorite serial killer contemplating settling down with Hannah, we're actually worried about her — who knew? !